Conductive 5,000 PSI working pressure with a black sarlink hose cover over the stainless steel braid for added protection. 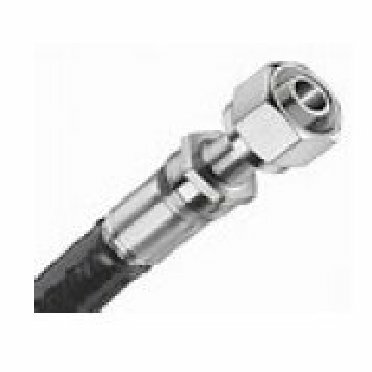 Industrial grade uni-braid ultimate transfer hose assemblies for a wide variety of high pressure applications where high performance under harsh conditions are required. Reinforced outer cover eliminates abrasion of wire braid and protects operator and installer from prickling. Choose from a variety of hose ends in stainless steel to complete your custom hose assembly.